Yesterday I saw the oldest new release of the year. 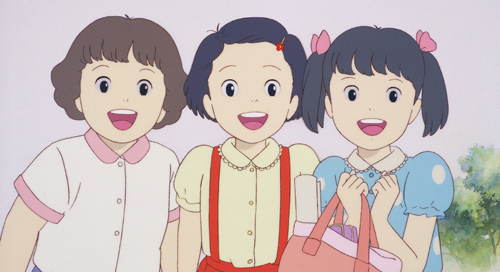 In a strange turn of events Isao Takahata’s 1991 anime film Only Yesterday is finally getting its US debut. So, 25 years later how does it hold up? It’s cute. I liked it but it didn’t wow me if that makes sense. 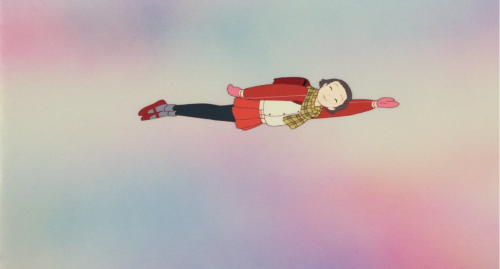 Only Yesterday is about a 27 year old single woman named Taeko. She decides to get out of the city and work on a communal farm for the summer. While traveling and during her stay, she is reminded of herself as a little girl in the 5th grade in 1966. The movie then switches back and forth between stories of her childhood and her time on the farm. There’s really not much else to talk about plot-wise. It’s just about this woman’s life. 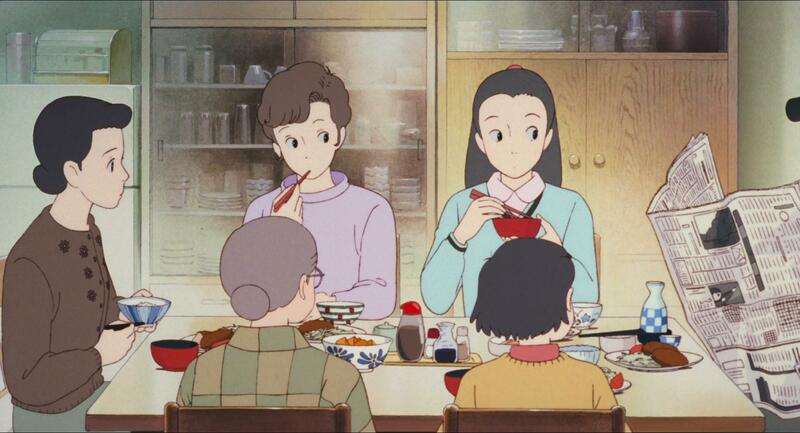 I personally love movies about ordinary life but some people will find Only Yesterday to be very boring. Even I nodded off once during an adult segment. It’s all very simple. Taeko goes through puberty, learns about periods, has a crush, sticks up for a poor kid, gets a spot in a play, and the family tries pineapple for the first time. Aside from her Dad being a jerk and slapping her once there’s really no drama- just ordinary life. Adult Taeko I found less engaging because it felt more generic and a little preachy in spots. You could tell it was made in 1991 with the talks on organic farming and how the earth is part of us and we should live in harmony (that’s where I dozed off for a sec). There are a few moments where Taeko daydreams of flying and rainbows but for the most part it’s just her memories without much fantasy. Memories like struggling with math and her sister trying in vain to help her, getting a cold and sitting out from gym etc. You get the idea. It probably goes without saying the animation is lovely. It has Takahata’s watercolor style, which I enjoy. 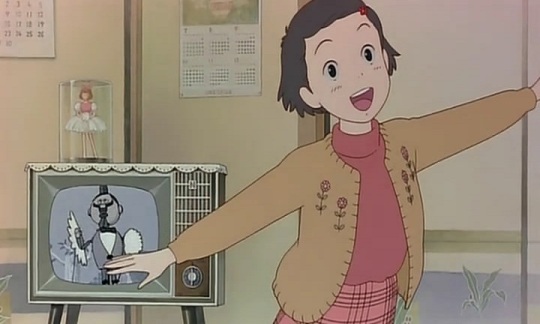 Everything in the film looks adorable especially Taeko as a little girl. She’s so cute! Little girl Taeko was also a really well developed character. She’s quirky but not too quirky. She’s shy but not abnormally so. She has friends but also disagrees with them. A lot of the traditional tropes of coming of age films are forgotten and instead we get a little girl facing typical problems little girls face. Adult Taeko is more of a generic yuppie trying to find herself on the farm. There’s a romance between her and a man named Toshio, which is sweet but a little bland. And like I said some of the adult sections can be preachy. I’d be lying if I said I wasn’t a hair disappointed in Only Yesterday, but maybe that’s because I was expecting something grand and got something simple instead. There is a lot that feels very Japanese- particularly a segment where Toshio’s Grandmother talks to Taeko about marriage. This is fine but something about Japanese customs can feel a little cold and distant at times for a coming of age story. The music is the most dated aspect of the film. The synthesizer and Japanese pop songs (including a rendition of The Rose by Janis Joplin) feel very 1991 but it works fine. It just didn’t wow me like the scores from other Ghibli films by Joe Hisaishi (Only Yesterday’s score is from Katz Hoshi). 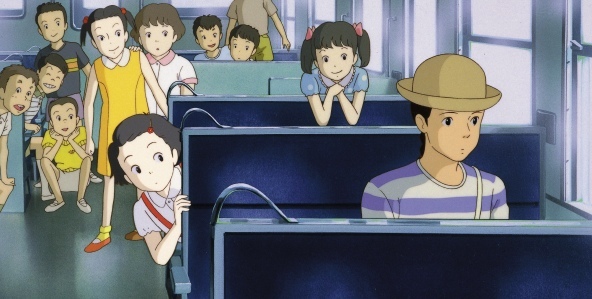 Overall, I’d say Only Yesterday is good but not up there in the best of Studio Ghibli. The animation is lovely. The childhood segments are very cute and charming but the adult sections drag a bit and are a little preachy. It’s kind of strange to see adorable Taeko turn into a bland adult, but that’s the way life is. Most of us are far more interesting as children than grown ups! 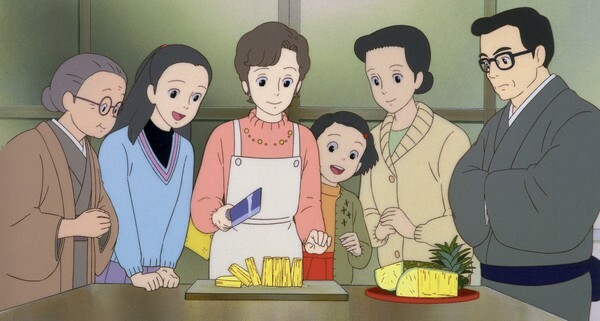 I certainly recommend seeing Only Yesterday but just calibrate your expectations to something very simple and sweet. If you do, I think you’ll enjoy it even if it isn’t a favorite. The English dub with Daisy Ridley as Taeko and Dev Patel as Toshio is fine. No issues there. It will be interesting to see how Only Yesterday does at the Oscars given it is a 25 year old film but Oscars bases off of US release date which makes it a 2016 release. Crazy! 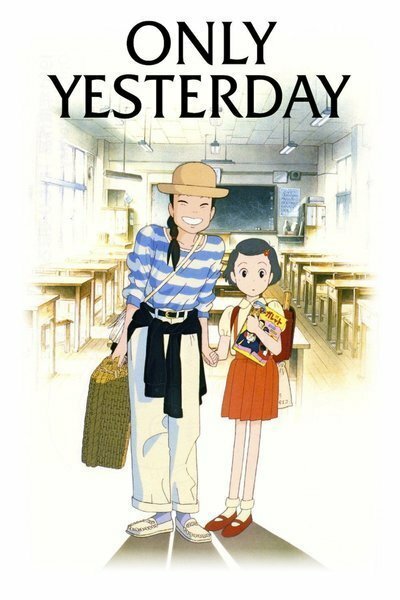 What do you think of Only Yesterday? Do you find it charming or boring? I personally liked When Marnie was There much better but that’s just me. I you remember what I wrote about it when I searched for the best movies of the last century, I also thought that it was too preachy. I also felt that the adult segments were off. It’s just…I can’t imagine a scenario in which someone tells stories from their childhood, and everyone acts all fascinated by it. It’s the equivalent to “who wants to see our vacation photos??? ?” In reality most people would have acted more along the line of “why exactly are you telling me this now? let’s change the topic to something more interesting”. It’s okay. I agree I mostly liked the scenes with the little girl, too. I can never fall asleep during a movie; I’d just take the movie off, but I can’t fall asleep in it. 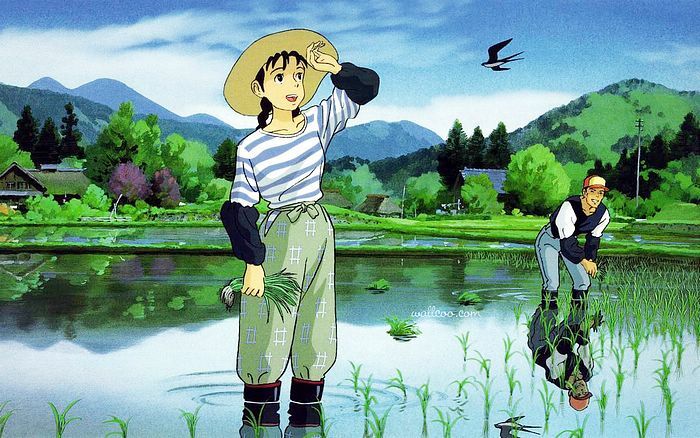 So, have all the Studio Ghibli films been dubbed in English now? I just nod off for a minute or two. If I was at home I’d turn it off. I was at a theater in this case. Pingback: Kubo and the Two Strings Review (Masterpiece) – Reviewing All 54 Disney Animated Films And More! It’s so good to hear from you again. You know this movie has grown on me. 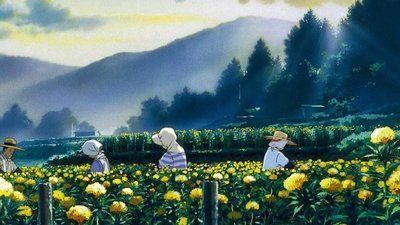 I think I just expect perfection from Studio Ghibli. Your word gentleness is a good one to describe it- especially the kids part. It is so lovely. You are right too about it being an unusual perspective. I still think it has some preachy elements and I don’t think the chemistry is that good between her and the guy but oh well. Still great film! Pingback: Rest of 2016 Animation Preview – Reviewing All 54 Disney Animated Films And More! Pingback: Long Way North Review – Reviewing All 54 Disney Animated Films And More! 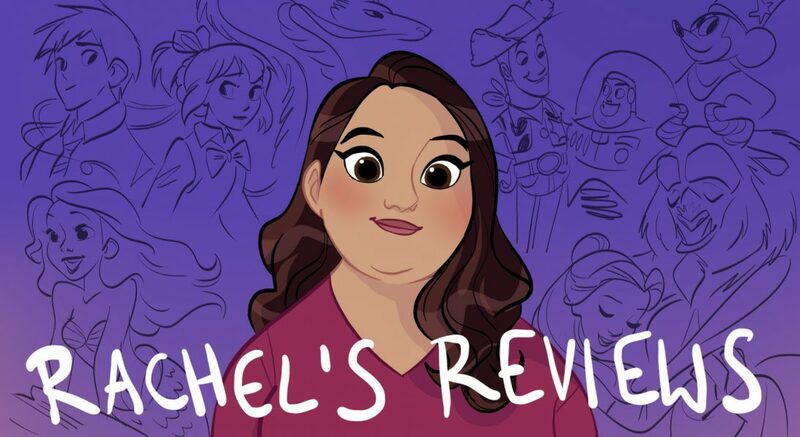 Pingback: How Did I Miss That?… – Reviewing All 54 Disney Animated Films And More! Pingback: BLIND SPOT 16: FROM UP ON POPPY HILL – Reviewing All 56 Disney Animated Films And More!